Reduce incorrect overtime claims and improve employee productivity. Monitor and manage Absenteeism, Buddy Clocking, and more. Seamless payroll integration across multiple platforms. 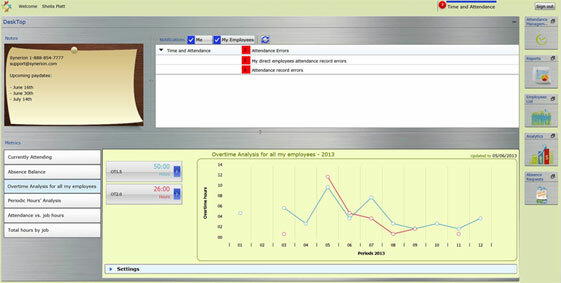 Monitor where your staff are, when, from one central platform. 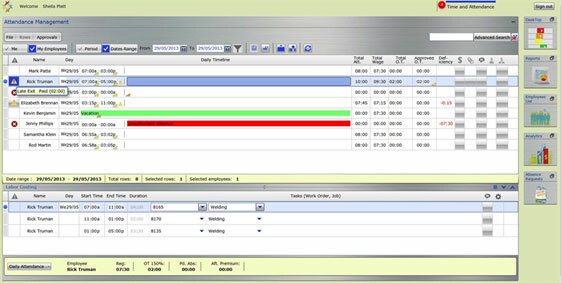 Automatically manage the costs of tasks and projects and their consolidation in the attendance records. Collect and manage all aspects of time activities and labor including: the presence of the data, the schedule of employees, task allocation and labor, profits, accumulations and more! Plan and manage employee absenteeism so that requests for absence and eligibility for leave are balanced according to the business needs of your organization. Time and attendance is a vital component of running any business, as businesses grow this function becomes more and more critical. Businesses which cannot or do not monitor employee time and attendance, absenteeism and payroll via professionally installed and maintained time and attendance solutions risk losing millions in time, productivity and employee morale. Intervid provides customised time and attendance and workforce management solutions to our customers throughout Sub Saharan Africa. Our expert team of solutions architects will meet with you at your business, discuss pain points needing to be addressed and work with all departments within your organization to develop a fully integrated Time and Attendance Solution. We have supplied time and attendance solutions to over 200 000 employees countrywide over the past 22 years.